Everyone has that one friend who loves books, books and more books. Finding gifts for avid readers AKA book lovers is not that hard but if you have a friend with a library full of all the novels you possibly know of, that’s when you need some ideas to rescue you from the pandemonium of crazy ideas. Nothing beats a good book experience, setting the technology aside with no-one coming between you and your text. Bet it sounds heavenly! 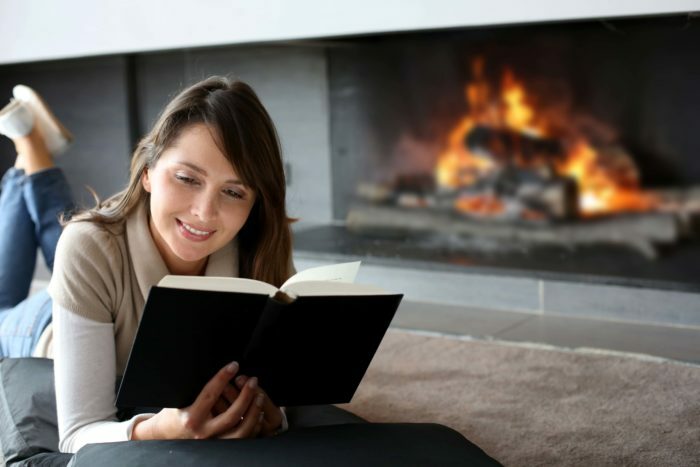 We see the online version of the novels (e-books) almost everywhere on the internet and as convenient it has become, the true reader in you can only find satisfaction in the touch and smell of the actual book. Check out the list of these apt and interesting gifts you that can surprise your bookworm friend with. So here is our guide to gifting avid readers! Avid readers tend to read almost any time of the day or night. For that purpose, you can gift a lamp which emits a soft warm light perfect for late night reading or early morning. It can also be used as a book rest on its top as it is shaped like a house. With its dual purpose, your friend will never end up mixing up the page number. Or, if your friend does not already have one, you could gift him/her with a Kindle! But like we mentioned before, nothing beats the real “book reading” experience. Dating back to the eighties when Sherlock Holmes was introduced by Sir Arthur Conan Doyle, the world has never stopped loving the character and the stories. So if you happen to know that your friend or partner is a lover for mysteries and crime, then what better than all the volumes of this classic book. The classic novel is a beautifully written masterpiece with its timeless story wherein you get lost in the hauntingly beautiful words as you keep reading. There are so many layers to the story and so much depth in the characters that by the end of it, it leaves you with a changed perspective. This gift can never go unappreciated given its flawless writing and the lingering message it encapsulates. You can get them at your nearest bookstore like Landmark. The inverted bookshelf is one amusing gift! The bookshelf literally hangs upside down with the top of the book mid-air. But what makes it truly interesting is that you can easily make it at home with the help of a few basic products such as a shelf, brackets, elastic webbing and a glue gun. You can find the directions on the website mentioned below. An award winning set of five novels written by George R. R. Martin is one of the best volumes to gift to a fantasy/historical fiction enthusiast with its multidimensional characters and addictive unexpected storyline. It has gained international acclaim from all over the world. Regardless of the fact that there is an entire televisions series based on it (which has captured the true essence and the depth of the story); nothing beats the experience of reading what has been written by the author and the play of imagination. So we’re pretty sure the recipient will be elated to receive such an amazing gift for life. Next articleNow You Can Help Your Kid Make Friends!